The search for just the right Christmas present will soon be upon us, but it’s all been made a great deal easier with some fabulous new wooden toys from Janod. Always a sucker for a beautiful wooden toy, I’m pretty excited about the new Janod range which has playthings suitable for all ages and stages. 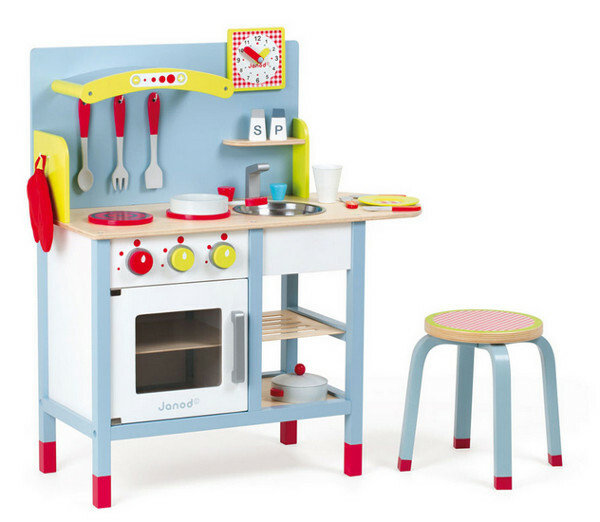 It’s pretty hard to go past a gorgeous play kitchen, and I’m loving the classic retro styling of Janod’s new Duo Kitchen (above). It’s not pink, which always lifts a toy kitchen in my estimation, and is also full of lovely little details such as hanging utensils, a couple of little storage shelves, and even a stool and space to eat those kitchen creations. It’s available for $275. Not yet big enough for a kitchen? 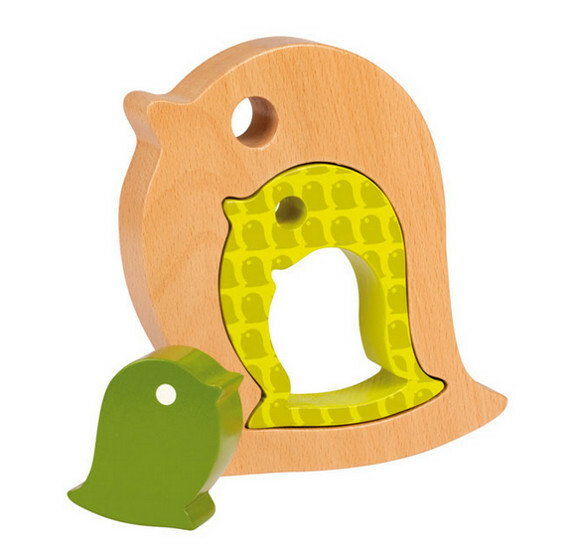 The very littlest don’t miss out – the Babywood Bird from Janod is suitable from eighteen months and is a great first foray into wooden puzzle toys, with its interlocking daddy, mummy and baby bird formation. What’s more, it looks great on the shelf! It costs $39.95. How about a great new wooden truck? Best of all, it’s the kind you can take apart and leave in pieces all over the house! My brother had something like this when I was a kid, and even now as an adult I still get a buzz out of taking the wheels off and putting everything back together bit by bit. It’s the DIY Tool Kit Truck, and it’s just $49.95. If you’re after something a bit different in the wooden train set arena, the Story Express Circus train set (below) might be just the thing. 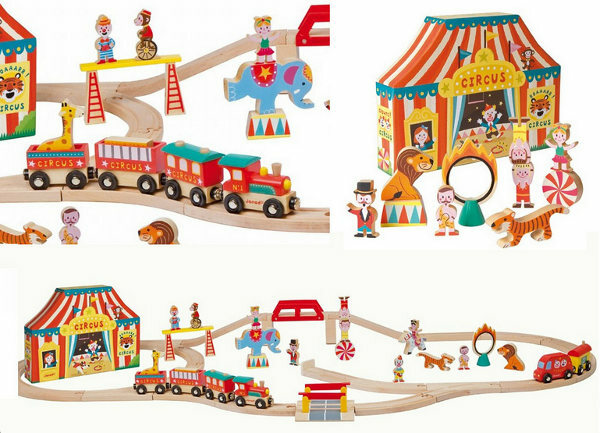 It includes the train tracks, a four-piece train, a circus bus and caravan and plenty of animals and performers, as well as other circus accessories for $129.95. There are plenty of other new toys in the Janod range as well. You can view them all and buy at Urban Baby.